Two search-and-rescue dogs were choked to death by an illegal alien Saturday during a police chase, a Texas sheriff has said. In a statement issued Sunday, Aransas County Sheriff Bill Mills said the two dogs, trained to track missing persons with dementia and Alzheimer’s, were “destroyed” during the altercation. “Sept. 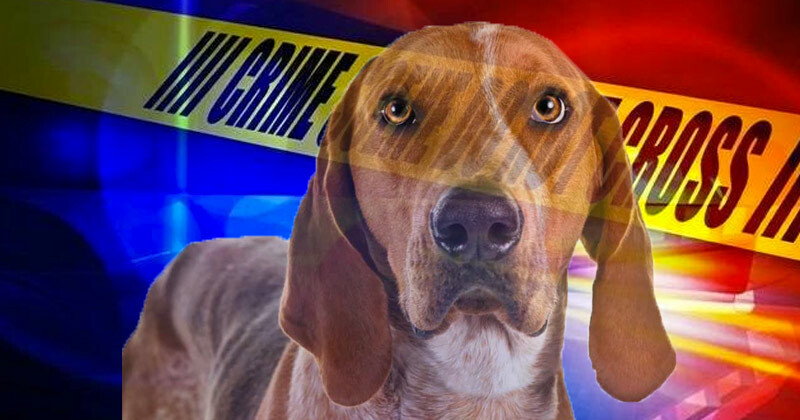 1, 2018 in an area just north of Holiday Beach in Aransas County, two highly valued canines were destroyed by individuals believed to be in this country illegally,” Mills said on Facebook. The incident began on Saturday morning when a truck fled the scene during an attempted traffic stop. After a short vehicle chase, roughly 14 to 16 people were seen fleeing from the vehicle. The highly-trained canines, loaned to the department by a kennel in a nearby county, had not been taught to engage in aggressive behavior like normal police dogs. Police say after being located by the dogs, eight-year-old Grunt and three-year-old Nell, the suspect used their collars to choke off their air supply. Mills says he now fears the number of Dementia and Alzheimer’s patients who may be negatively affected by the loss of the two dogs. Mills says the six people arrested on scene, turned over to U.S. Customs and Border Protection, were originated from Guatemala, Honduras and Mexico. As many as 10 others who fled the scene still remain at large.